TBT History: Stong showing in 2016, taking a 20-point lead over Ram Nation at one point before losing the game in the second half. Advanced to the Super 16 in 2017 before losing to Ram Nation once again. Nutshell: A Charlotte-based non-profit with two former ECU players. The Prodigal Sons Foundation is "committed to strenghtening communities and developing productive leaders for the future by empowering, education and engaging students and families." Up by 20 points late in the first half against No. 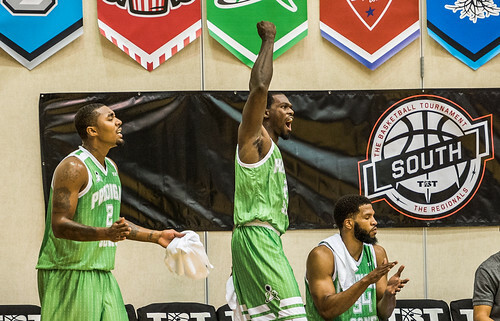 3 Ram Nation in TBT 2016, it appeared as if this little-known team from Charlotte, North Carolina was going to pull off one of the biggest upsets in tournament history. But, a quick 5-0 run before halftime got the VCU alumni team within 15 points and swung the momentum back to Ram Nation. 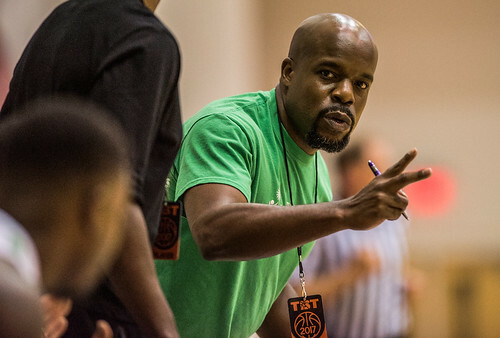 Although they ended up losing the game, Jason Caldwell and company proved that the NC Prodigal Sons can compete with the best of the best in TBT. The team used this as motivation to reach the Super 16 last summer, despite having just two active professionals on the roster. 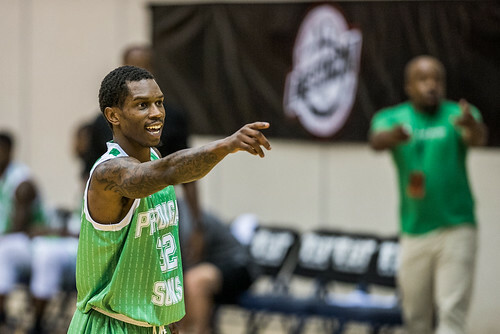 Presbyterian grad Al'Lonzo Coleman led the Prodigal Sons with 15.3 ppg and 13 rpg last summer. 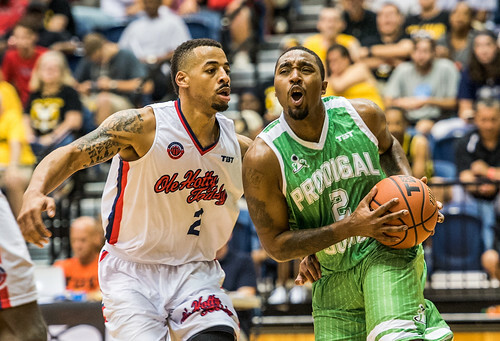 Marshall grad Damier Pitts was the team's floor general, averaging 13.7 ppg, 4.3 apg and 4.3 rpg. 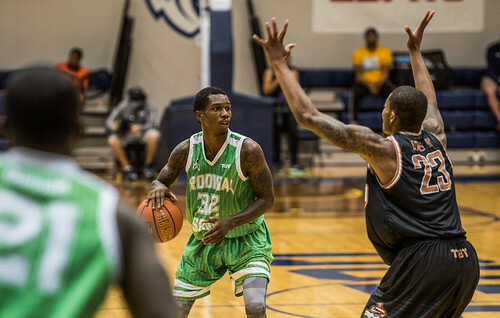 Jamie Skeen led the way in the opening game, and Eric Maynor paved the road to Brooklyn with a dominating performance in Round 2. In the Super 16, Ram Nation, the South Region’s #2 seed, relied on a complete team effort to advance. 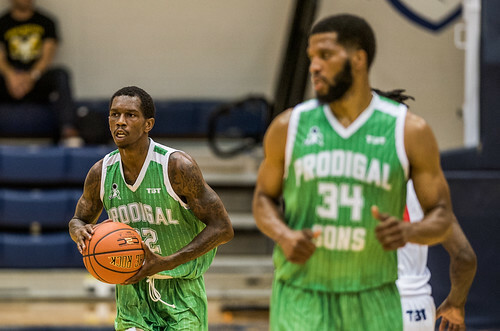 Reggie Williams tallied a team-high 14 points, and 10 different players scored as Ram Nation used a 15-2 run midway through the second half to run away from #14 seed NC Prodigal Sons en route to a 79-64 victory. 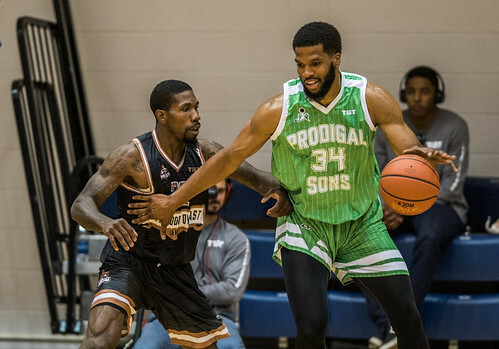 Al’lonzo Coleman (16 points, 15 rebounds) completed his strong TBT showing with his third straight double-double in the losing effort for the Prodigal Sons, who shot just 29% from the field in the second half. Ram Nation advances to face #1 seed Overseas Elite in the South Region championship game on Sunday, July 23rd at 6:00 PM ET, live on ESPN2. We’ve officially found our #TBT2017 Cinderella. After knocking off No. 3 Ole Hotty Toddy yesterday, No. 14 NC Prodigal Sons punched their ticket to the Super 16 this afternoon, pulling out a tight win over No. 11 Golden Boot Dynasty. NC led for 28:40 of the 36 minutes and their largest lead was 13, but Golden Boot wasn’t going to lay down easy. They chipped away at that 13-point lead to tie the game up with just minutes to play. Prodigal Sons didn’t make a field goal for the last 3:32 of play, but knocked down enough free throws to hang on for a 74-72 win. Al’lonzo Coleman was big for NC, putting up a double-double of 17 points (7-8 FG) and 12 rebounds. Guard Damier Pitts was the high-scorer for NC with 21 points. 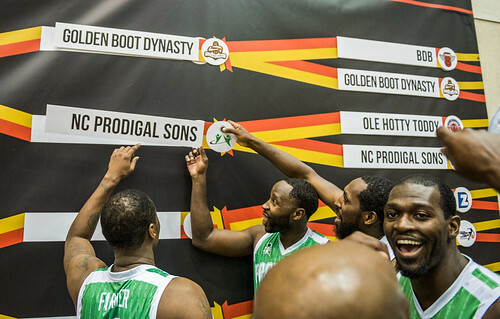 Prodigal Sons advances to the Super 16 in Brooklyn, where they’ll take on the winner of Ram Nation vs. PrimeTime Players July 21. The NC Prodigal Sons defeated Ole Hotty Toddy, 84-75, to advance to the next round. The Prodigal Sons were lead by Damier Pitts with 15 points, making all 6 free throw attemps. Al'Lonzo Coleman and Nate Chambers each tossed in 13 points. Christopher Warren was the high scorer for Old Hotty Toddy with 21 points. Led by 2012 Virginia Commonwealth University graduate Bradford Burgess, who scored 24 points, Ram Nation erased a 15-point halftime deficit to beat NC Prodigal Sons, 85-80. Ram Nation, a team fielded by VCU hoops alumni, deployed the full-court press strategy, coined the Havoc system, popularized by former coach Shaka Smart, who now coaches at Texas. 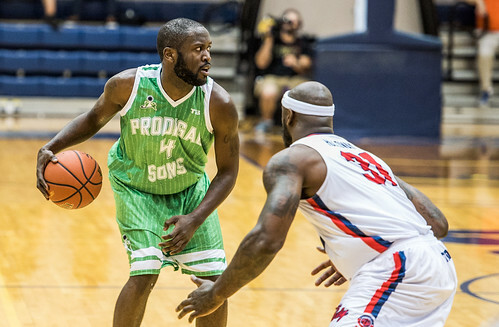 Al'Lonzo Coleman scored 14 points and snared eight rebounds for the Prodigal Sons––both team highs. Brandon Rozzell drained five 3-pointers for Ram Nation and finished with 22 points.